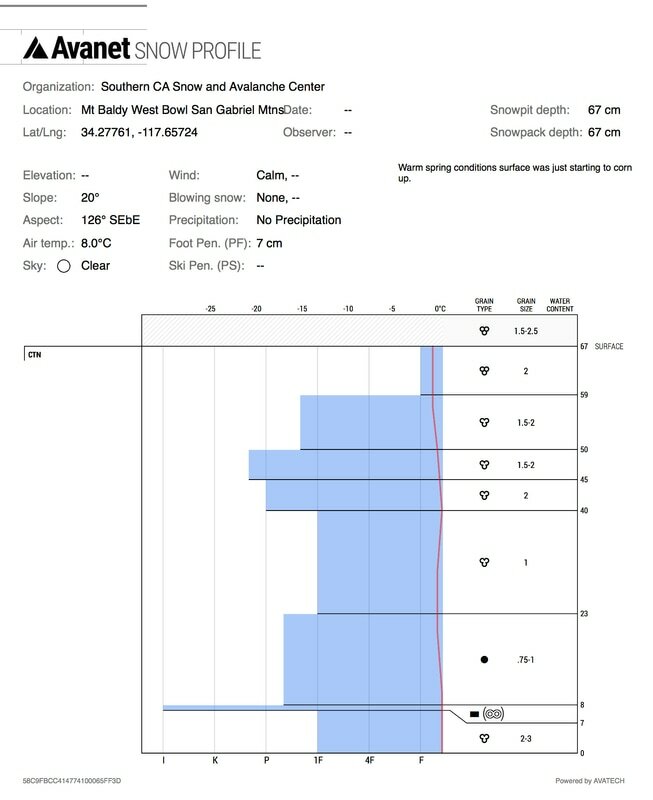 Snowpack Report 3-11-17 Mount San Antonio San Gabriel Mtns. 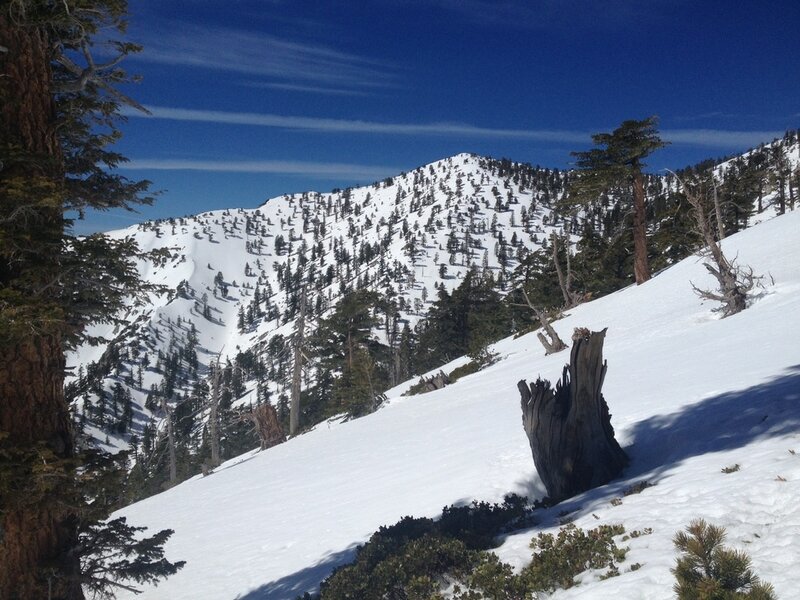 Mt Baldy West Bowl San Gabriel Mtns. Firm snow in morning softening by 10:00am some of it only in the upper few centimeters on some aspects southerly aspects softened more quickly. North aspects did not soften much until later afternoon. Solid refreeze of snow overnight Saturday night. 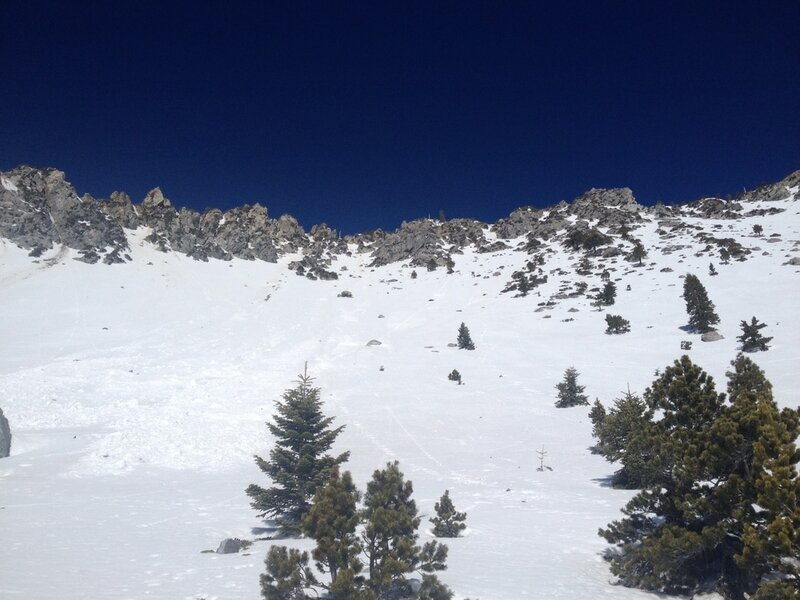 Firm and icy snow patches on trail @ 8am some softening in sun exposed areas.